The Norwich Historical Society’s mission is to help preserve, protect and promote the rich history of Norwich, CT. NHS created self-guided trails apart of the Walk Norwich trails system and is the lead agency operating the Norwich Heritage & Regional Visitors’ Center. The Norwich Branch NAACP was established in 1963 to continue the work of the National Organization within Eastern Connecticut. The Norwich Branch believes the NAACP’s goals of equality, justice and civil rights for all people are still important today. People's United Bank is a subsidiary of People's United Financial, Inc., a diversified financial services company with over $40 billion in assets. People’s United Bank, founded in 1842, is a premier, community-based, regional bank in the Northeast offering commercial and retail banking, as well as wealth management services through a network of nearly 400 retail locations in Connecticut, New York, Massachusetts, Vermont, New Hampshire and Maine. 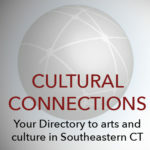 Revival of historic festival celebrating performing and visual arts, families, and community in Norwich, the Rose City. Road race, art display, crafts and food vendors. Downtown After Dark entertainment in bars, galleries, restaurants, theaters. Sat. June 30, 2018. As a professional ceramic artist, I can work with art dealers, galleries, interior designers, architects and art consultants. I have available work and also love creating custom commissions. The Slater Museum awakens visitors to the richness and diversity of the human experience through art and history. The Museum displays and interprets the best examples of fine and decorative art, representing a broad range of world cultures of the Americas, Asia, Europe and Africa. Artist going on five decades and creating. Drawings. Watercolors. Photographs.